Water trucking is often done to meet the water needs of displaced and drought-affected populations. During times of extreme water shortages, the trucking of water is a traditional coping mechanism for many communities. In Gaza, destroyed roof tanks, tankers, cisterns and reservoirs have led massive water shortages. Ummah Welfare Trust delivers water daily to the door-steps of impoverished families here, schools and hospitals. You can donate any amount towards the water distribution project in which thousands of students, patients and civilians benefit. 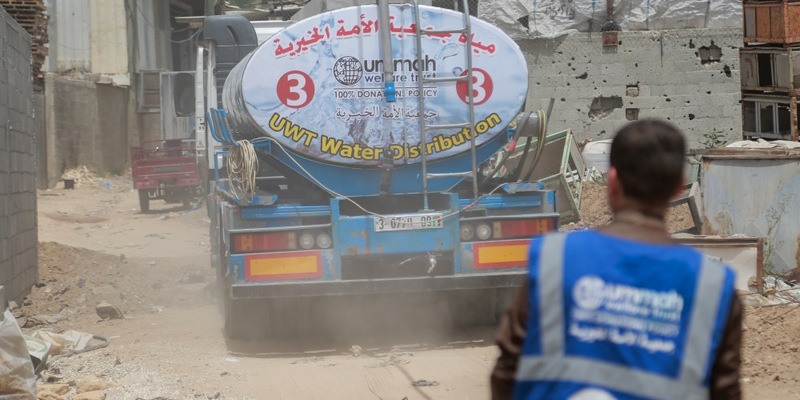 families in Gaza have benefited from water distribution in the past year.